Following on from the BRC Rapid Translational Incubator event in December, the group will now run monthly networking events and webinars to highlight support available in Greater Manchester to support clinical trials and studies. The BRC’s Rapid Translational Incubator (RTI) held a workshop in December 2018 to look at challenges faced when setting up trials and studies and where to go for support in Greater Manchester. As follow up, the RTI is holding networking sessions and webinars to cover topics including contracting, sponsorship and ethics. These networking sessions complement the training and specific information provided by other organisations and do not replace their advice and guidelines. 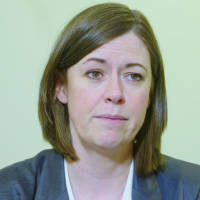 Host: Professor Jacky Smith, Director, Manchester Clinical Research Facility (CRF) and BRC Rapid Translation Incubator Cross Cutting Theme Lead / Improving Respiratory Symptoms Programme Lead. Register your place to attend (limited capacity) here. Register your place to join the webinar here. Register for webinar or to to attend at The Nowgen Centre (limited places).